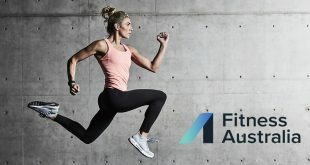 Claiming to be at the forefront of technology within the corporate wellness space is Corporate Wellness Australia and Technogym – focusing on bringing change through corporate health and fitness programs. 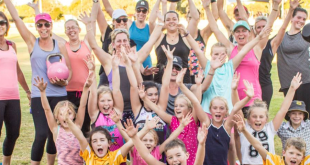 For many years, Corporate Wellness Australia (CWA) lacked an online portal that tied fitness programs and data together. 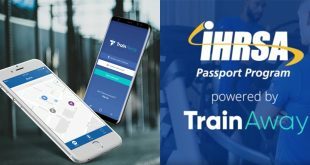 They required the ability to track general movement, exercise and dieting habits along with storing and managing health data. 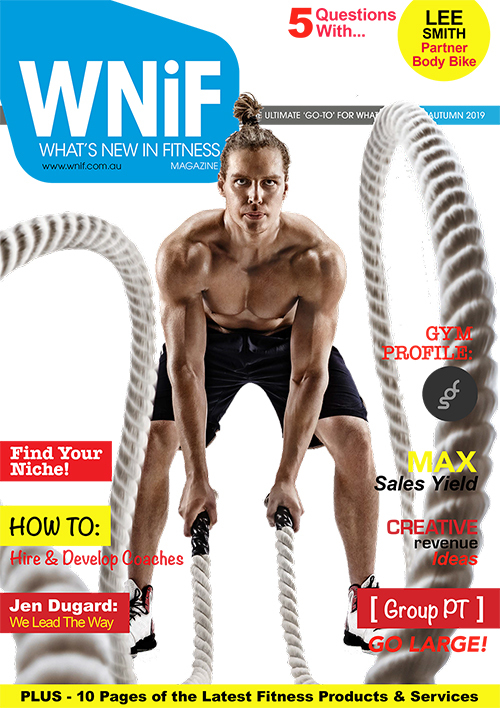 In 2017, CWA partnered with Technogym with an overall objective: to effectively move the business world and engage with business professionals via corporate gyms. 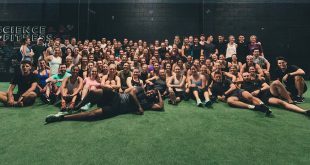 This partnership enabled CWA to tap into Technogym’s existing technology and together, create equipment and cloud based systems and programs that deliver positive results to the individual. The first step is evaluating employee needs and health risk levels to create a successful programme. Individual results are stored on the Technogym-powered MyWellness Cloud, which is accessible on any mobile device or laptop. 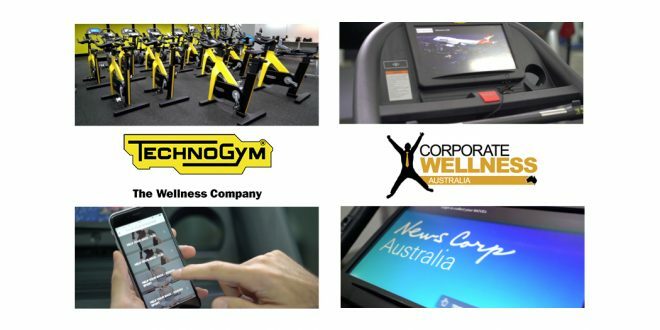 “When we heard about the profound capabilities of Technogym’s MyWellness Cloud and how it interacts with the equipment, we knew we had an offering that was second to none in the corporate health space”, says Wayne Dart, CEO of Corporate Wellness Australia. Via the MyWellness portal, CWA can offer a complete wellness journey, from the initial body scan which feeds personal health related data to the delivery of individualised programs and the tracking of activity through to recording and progress feedback. 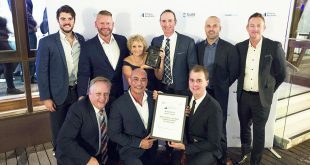 The latest organisations to be equipped with state-of-the-art Technogym equipment are Qantas Head Office and News Corp in Sydney, reaching approximately 4,000 people. Generally, people are working out during their lunchtime for up to 45 minutes. This gives them time to shower and return to the desk. 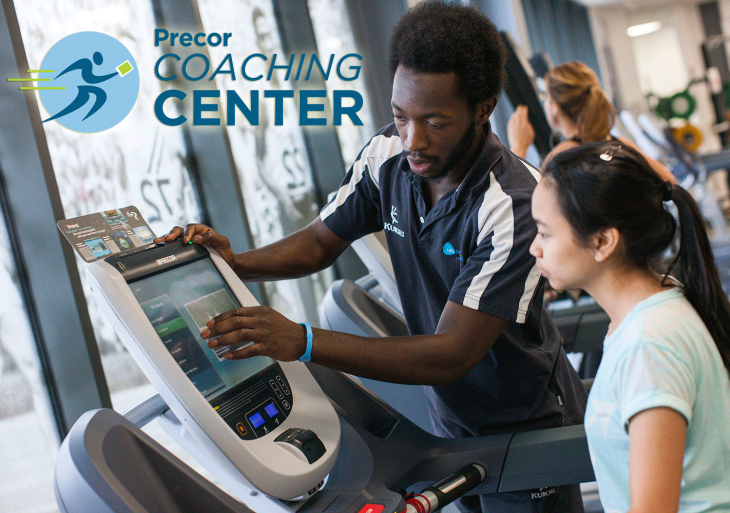 The participation is split between organised group exercise, usage of cardio equipment and pin loaded or free weights. The data gained from each individual can be used to establish generalisations about the workforce, which can then be used as feedback to specific industry governing bodies with the aim of creating long-term positive health strategies. With access to these corporate gyms and wellness programs, CWA and Technogym are contributing to increased productivity levels, minimal absenteeism rates and positive mental health. 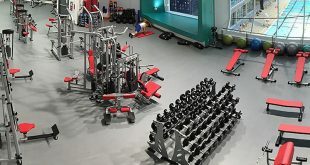 “Since implementing our Technogym products and services across the gyms, CWA have seen a vast increase in gym membership numbers and gym usage. In News Corp’s Head Office, there has been an uplift of approximately 50 per cent in new members”, explains Giulio Gasperini, Technogym Marketing Manager. Overall, CWA and Technogym are not only ahead of their competitors, but they are achieving great results across the board. 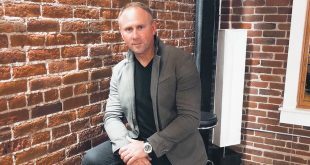 “Working with Technogym has allowed Corporate Wellness Australia to offer premium products and services to our corporate clients that previous to our relationship, we had only dreamed about”, says Wayne Dart. For more information on Technogym and the MyWellness Cloud, enquire below.